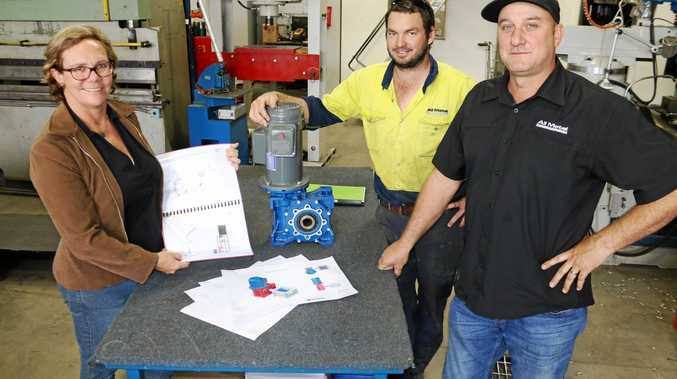 Partnering with All Metal Fabrications Coffs Harbour to manufacture the machines, Louise has developed a start-up machine 'kit' to help communities get started. The kit includes a shredder, an injector, an extruder, compressor and specialised training with comprehensive instructions. Louise has already commenced production of the machines which will be fitted to a mobile trailer as an educational demonstration unit, with a number of schools and universities already booking her workshops. For the last 3 months she has collected all of her own household plastic waste, ready for processing. Her aim over the next three years is to support the distribution of the machines and training in Australia and throughout the Pacific regions. Louise also hopes to develop strong partnerships closer to home with organisations such as local councils and waste management companies and has fielded a number of enquiries from interested agencies in NSW. Pacific Partnerships is an aspect of her new business which will enable interested groups/individuals to become involved by supporting a community of their choice in the Pacific region. The idea is to provide funds for machines kits which will allow a small community to establish a new enterprises turning waste plastic into valuable resources, such as building, landscape and household materials. "We are all connected, especially through the Pacific Ocean via the tides and currents, cultures and wildlife," Louise said. "Being involved in Pacific Partnerships people can participate and feel empowered by helping not only Australia, but also our neighbouring countries, with the end result a cleaner environment and a better world for all". Louise is grateful for the support of many people, including Robyn Simon, Business Advisor with ETC. Robyn says that Louise has the key ingredient to ensuring her business is a success and that is "determination". "Passion is essential but tenacity to see it through to the next level is critical", Robyn said. Louise can be contacted via email info@thepacificcollective.com.au or 0412856589. To find out more information about how ETC Business Services can help your business, contact ETC on 6648 5400. The next ETC BusinessLeaders lunch will host social researcher Mark McCrindle on Monday 21 November at Novotel. Mark will share his insight into 21st Century consumers and the key influence upon them. For more information visit etcltd.com.au or call 6648 5400.